Microwave tubes-see directions in workshop handout or KCK manual. This is a little tricky so read instructions carefully. If you run out of room in your "tissue culture area", the kitchen is a great place to cool your media. 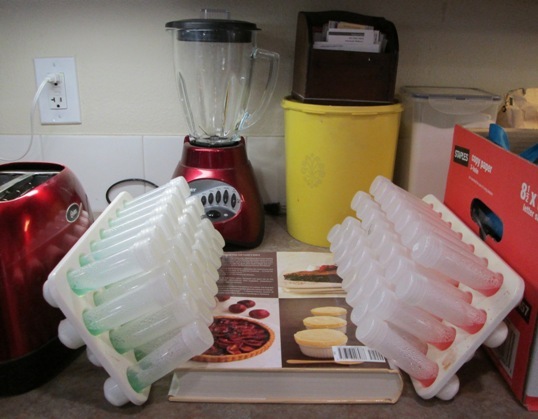 These tubes are resting on a cookbook and being supported by a box and a toaster. This is truly "kitchen culture".